Key Housing, a leading corporate housing service in California, is proud to announce new availabilities in Mountain View, a key city in Northern California's Silicon Valley. Interested persons are urged to visit the website or reach out to Key Housing, as availabilities cannot be guaranteed and can change rapidly. We understand that Silicon Valley is a special place. Innovative companies are constantly seeking new talent and an equally unique environment to house them in. Key Housing, a corporate housing service with short term listings throughout California at http://www.keyhousing.com/, is proud to announce new, up-to-date listings for Mountain View corporate rentals. Several upgraded high-tech Mountain View corporate rentals have been added to the Key Housing listings. 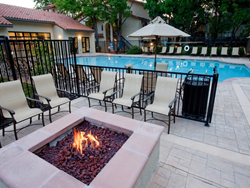 Extended stay apartments offering modern amenities such as a wireless internet lounge and eco-friendly services can be found in Silicon Valley. To browse the newly added corporate housing properties in Mountain View, California, visit http://www.keyhousing.com/rightside.asp?location=Mountain%20View. As an example, featured property, to review the new Avalon Mountain View listings including all amenities, please go to http://www.keyhousing.com/rightside.asp?action=form3&ID=722. High-tech and eco-friendly amenities frequently desired by a tech workforce can be reviewed. To learn more about corporate housing for Mountain View and the surrounding Bay Area, please visit https://blog.keyhousing.com/. There one can click on communities near Mountain View such as Cupertino, Palo Alto, and even San Jose. Based in Folsom, California, Key Housing Connections Inc. specializes in corporate housing and corporate rentals in large cities like San Francisco, Los Angeles or San Jose as well as smaller cities like San Mateo, Pasadena and Walnut Creek. Key Housing is a leader in affordable, friendly, short-term and corporate housing rentals in places like Redwood City, Santa Monica, Newport Beach and just about every city in California. Whether it's serviced apartments or a furnished rental, just search, click or call today!